Around the wider world of golf: Lydia Ko won again at the ISPS Handa New Zealand Women´s Open on the LET; Amy Yang won the Honda LPGA Thailand on (what else?) the LPGA; Katie Kempter won the Volvik Championship on the Symetra Tour; and Andy Sullivan won the Joberg Open on the ET. ATTENTION STEVE WEBSTER! If you don't get to tee it up at the Africa Open this week as planned, by all means find some tournament you can play in! Because this week you are #297 in the world, just as James Hahn was two weeks ago and Paddy was this week, so you are next up to win. If everything plays to form, you will need -6 to make the playoff, which you will then win. BY ALL MEANS, DO NOT MISS THIS GOLDEN OPPORTUNITY!!! Now where were we? Oh yes, Paddy Harrington's mind-bending come-from-behind win at the Honda... and I DO mean mind-bending. Paddy says his biggest problem over the last few years has been mental, which mind guru Bob Rotella has been helping him learn to manage. Even the announcers seemed to go deeper and deeper into shock with each twist and turn coming down the stretch. So rather than rehash the finale and playoff of the event, let me pass on something many of you may not have seen. The waterball at 17 during regular play WAS very much on Paddy's mind when they got back to the hole during the playoff. However, Paddy has been following Daniel Berger's career for some time -- Berger made reference in his own after-round presser to meeting Paddy back in 2011 -- and Paddy said he was well aware of how long and straight Berger was, so he didn't want to face him on the 18th again. His best chance to win was at 17, so he "manned up" and hit the shot right at the pin... and, as it turned out, Berger missed the green. 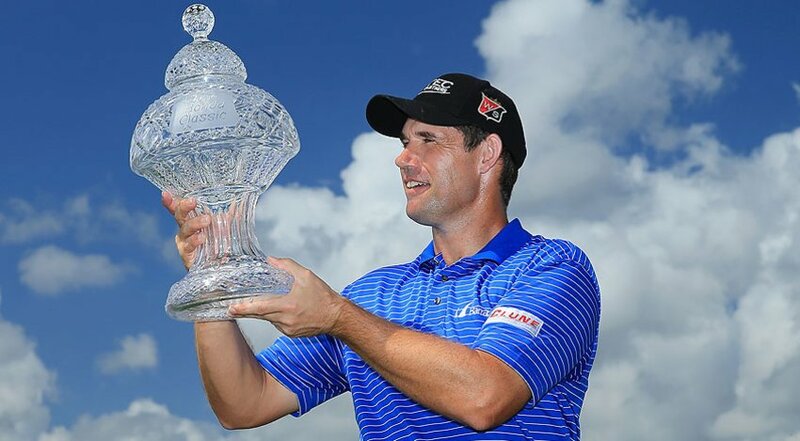 And that's how Padraig Harrington got his second win in three months (he won the Asian Tour's Indonesia Open in December), and his first PGA Tour win in around seven years. In the drink! It was all a bit off-the-wall.